companies to refinish your floor. Premium Sanding Technology is the first certification of its kind, showing which flooring companies can achieve the highest levels of quality and safety. achieve the highest levels of quality and safety. Premium Sanding Technology (PST®) training from Lagler is the new benchmark of quality and safety in the floor sanding industry. Wood dust is known to cause fatal cancers and respiratory diseases. Companies that have completed the PST® course have demonstrated an excellent understanding of good working practices that minimise dust exposure for staff and clients when sanding and refinishing floors. There is currently no universally recognised accreditation for safe floor sanding. The PST® system is matched to Lagler’s own exceptional standards and a step towards better safety and quality in the floor sanding industry. Choose a PST® Certificated Contractor for a Dust-Free Floor Sanding experience! 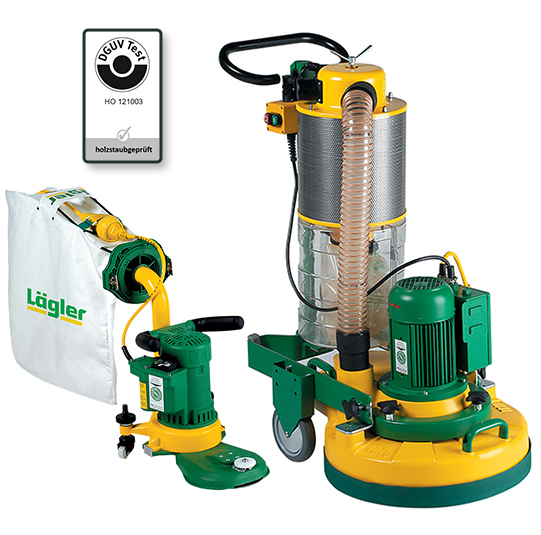 To meet these rigorous guidelines, Lagler GmbH have spent over 60 years engineering the most reliable integrated dust extraction systems of any floor sanding machine range. 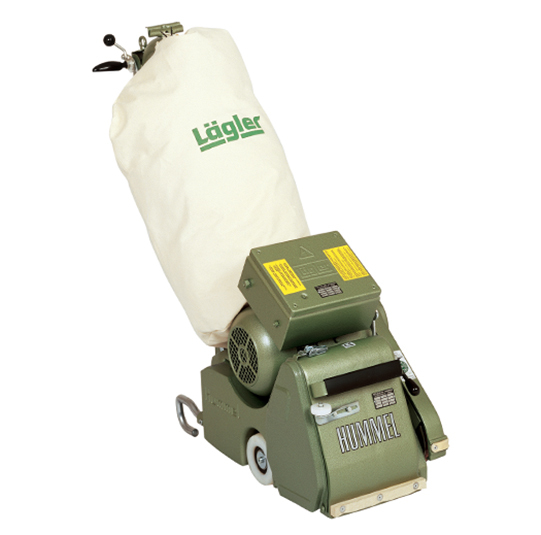 The Lagler Hummel, Trio and Flip floor sanding machines can be used without any need for dust masks or additional dust extraction equipment. The DGUV Dust Test was created in Germany as a reliable measure of how much dust a machine might generate while in operation. DGUV Certified tools produce less than 2mg of dust per cubic metre when used properly. This helps ensure a safe environment for operators, colleagues and customers. All PST® Certified Companies have demonstrated excellent understanding of the Lagler Machine Range to ensure your home or workplace remains a totally dust-free environment. Over 150 companies have already been trained in the UK using the Lagler Premium Sanding Technology system, and we will continue to work with responsible businesses to raise the standards of dust-free floor sanding and refinishing in the UK. If you have any questions about PST® Training or are a company looking to become PST® Certificated through the Lagler Training Course then please get in touch. Over 150 companies have already been trained in the UK using the Lagler Premium Sanding Technology system, and we will continue to work with responsible businesses to raise the standards of floor refinishing in the UK.